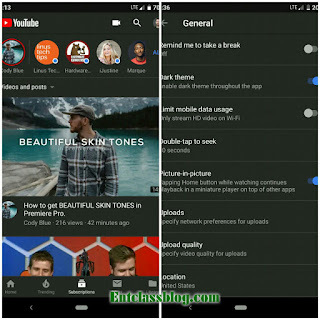 YouTube dark mode has started rolling out to some limited number of users. This feature has been available on YouTube web and iOS versions for months now. Even at that, it's still not a news to some of us here as we are already enjoying the feature on YouTube Vanced Mod. 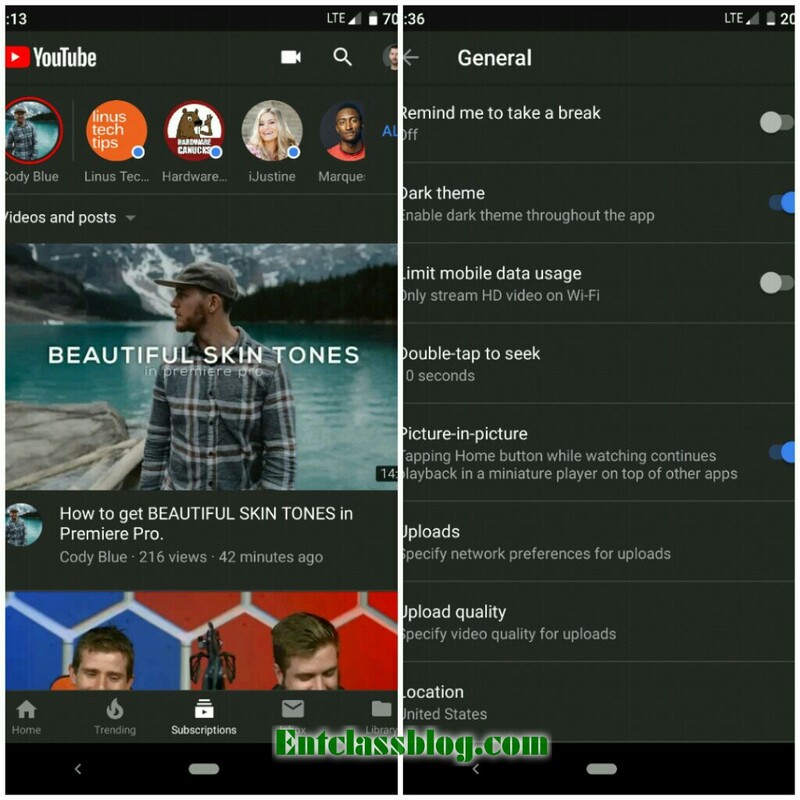 After months of anticipating, YouTube Dark or Night mode is now officially available on its Android version. According to some users, the feature was automatically activated on the YouTube Android app. No doubt that Night mode is now a very important feature every app should have. YouTube Android app has finally decided to roll out this feature automatically. It's appearing on some people's YouTube apps, and some are saying that they've seen a notice about it pop up on the bottom of their screen. This feature is rolling out gradually and may take some little time to roll out globally. Hopefully, the feature hits everyone sooner than later, but we all know how Google likes to toy with our emotions. Download YouTube from Playstore Here. Good as YouTube finally added night mode, great achievement so far to YouTube, they're working hard.